Have you ever watched Willy Wonka and the Chocolate Factory? It was one of our childhood favourites, a dream world revolving around chocolate waterfalls, Oompa Loompas and Wonka Bars. So when we received an invitation to be a ‘chocolate judge’ at De Villiers Chocolate, it truly felt like we’d just unwrapped our very own Golden Ticket and were about to step into Roald Dahl’s pages. 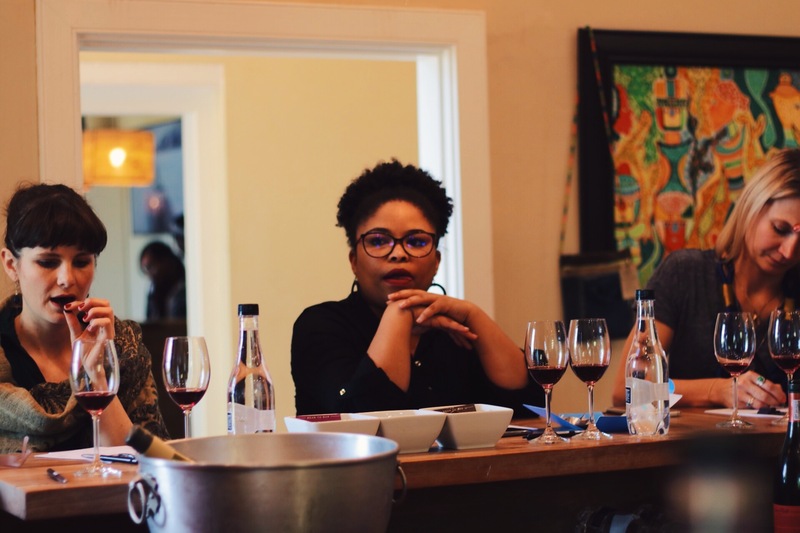 With the headquarters based in a historic manor house at the Spice Route Destination in Paarl, De Villiers Chocolate factory and shop draws people in on all senses. First, the delectable smell of cocoa beans drifts through the air and lures you inside. 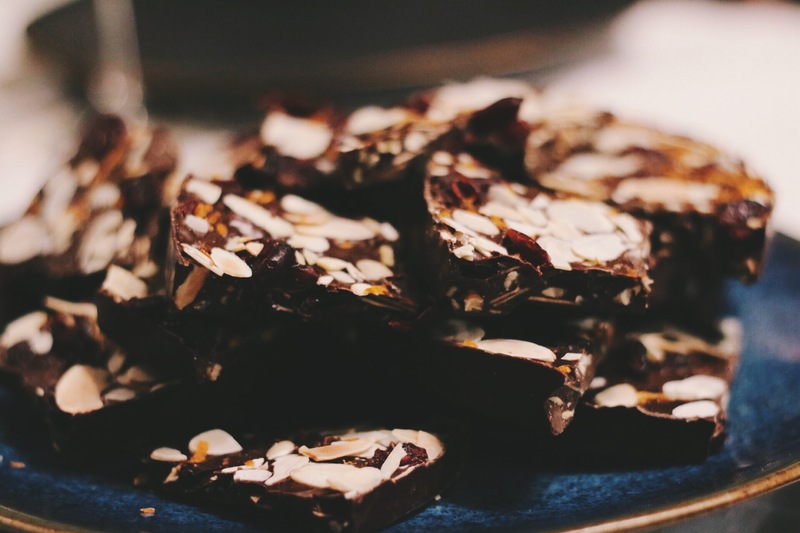 Next, your eyes set sight on the smorgasbord of truffles, butter caramels and chocolate nougat. Drool. You can hear the conching and refining process happening in the factory, and you’re encouraged to crush and feel the different textures of cocoa beans as you pass the tasting pods. But undoubtably, we were here to focus on one sense in particular – taste. 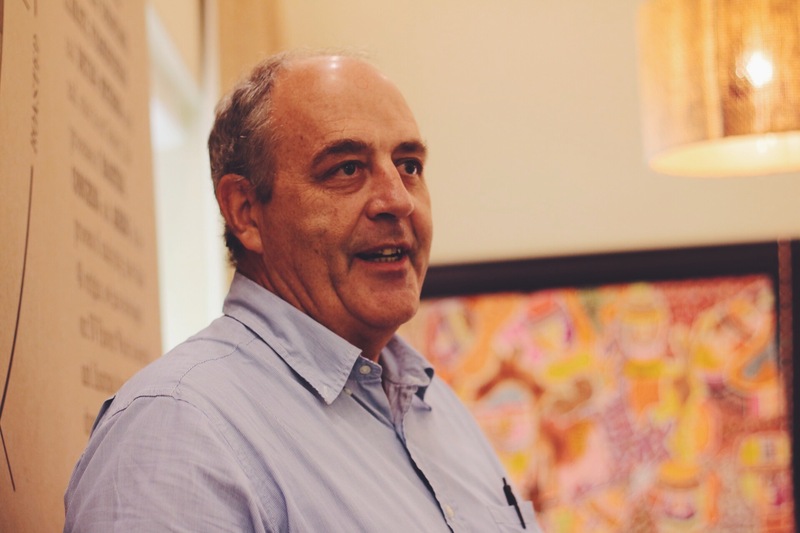 As part of the festive exploration of terroir, we were met by Pieter deVilliers, owner of De Villiers Chocolate, who warmly welcomed us to a tasting of the new De Villiers Single Origin chocolate bars paired with Spice Route Wines. Pieter explains that his love for chocolate stems from wine (you can’t blame the guy! ), and we soon hear that the newest range of his Single Origin bars is about expressing the true ‘terroir’ of each region’s cocoa beans. 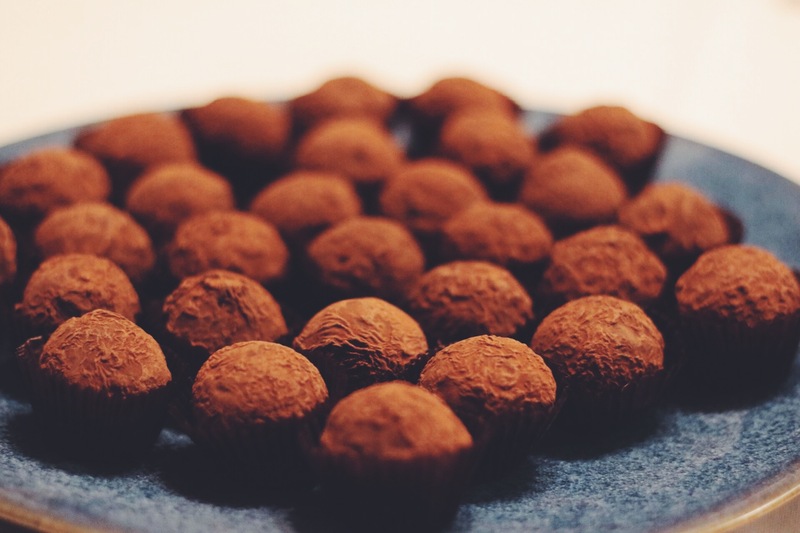 After all, be it wine or coffee or in this case, chocolate, the genetic heritage of the base goes a long way in influencing the final outcome of the product. 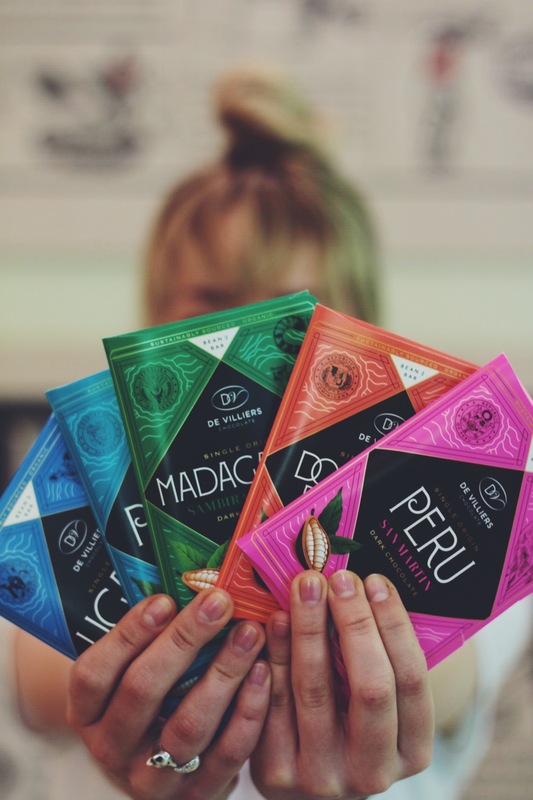 Pieter shares anecdotes of traveling to African countries like Uganda, with his ultimate goal being to offer all organic chocolate that supports our continents cocoa bean farmers (hear hear!) and highlighting the quality of locally sourced produce where possible. During the pairing, we learn some new tricks about wine and chocolate pairings. 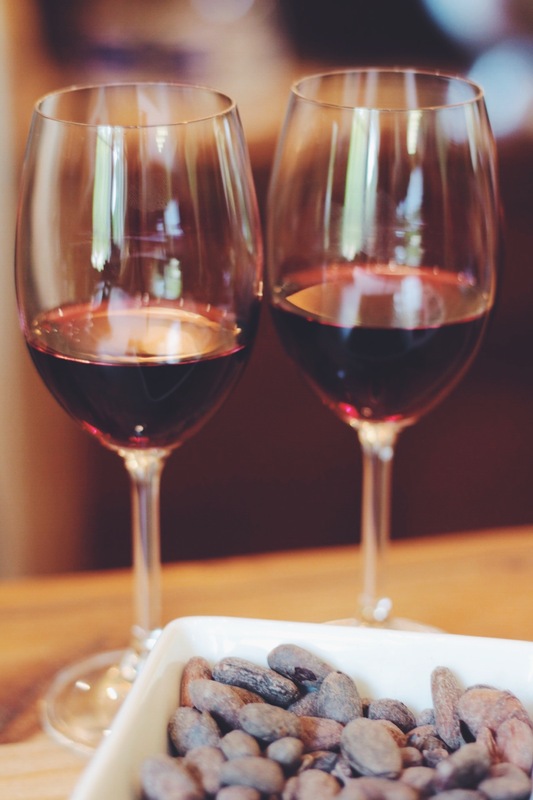 Did you know that in actual fact, these two aren’t a good pairing because the wine cools the mouth and you need chocolate to melt in the mouth to release the full flavours. BUT you can make it work if you allow the cocoa butter in the chocolate a moment to soften and melt in your hand (or mouth) before munching. Our pairing with the Spice Route Terra De Bron Grenache and DV Single Origin Panama bar was a particular favourite. Did we mention we are in love with the with the new Single Origin packaging? 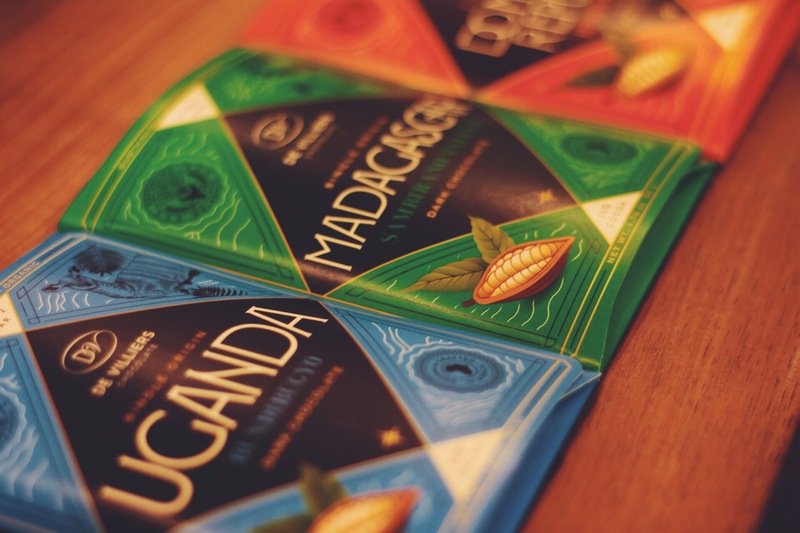 Designed by the talents at Jane Says Designs, each packet tells the story of the unique origin, be in Uganda or Panama. 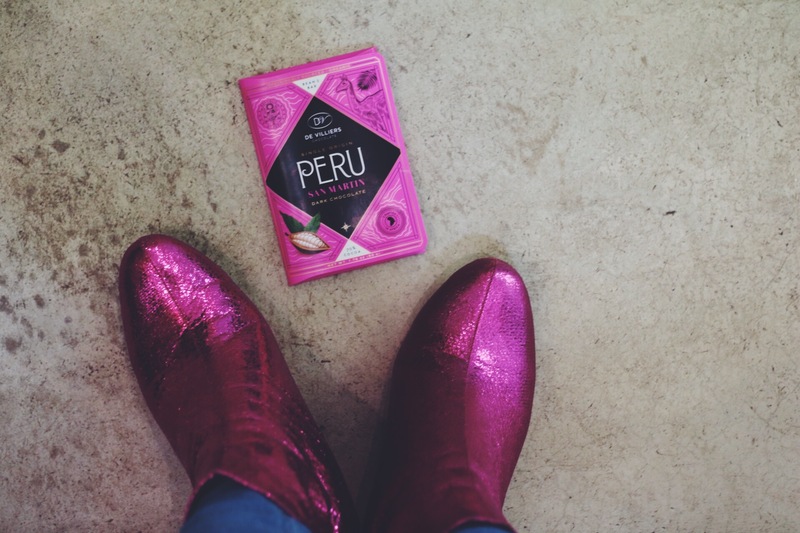 Our favourite has to be Peru – not only because it matches Gosia’s new hot pink boots, but also because the floral and coconut flavours remind us of the summer holidays to come. Due to the small quantities made, these chocolates will only be available from DV chocolates and selected Woolworths outlets. Perfect for Christmas presents. Visit http://www.dvchocolate.com/ for more information! 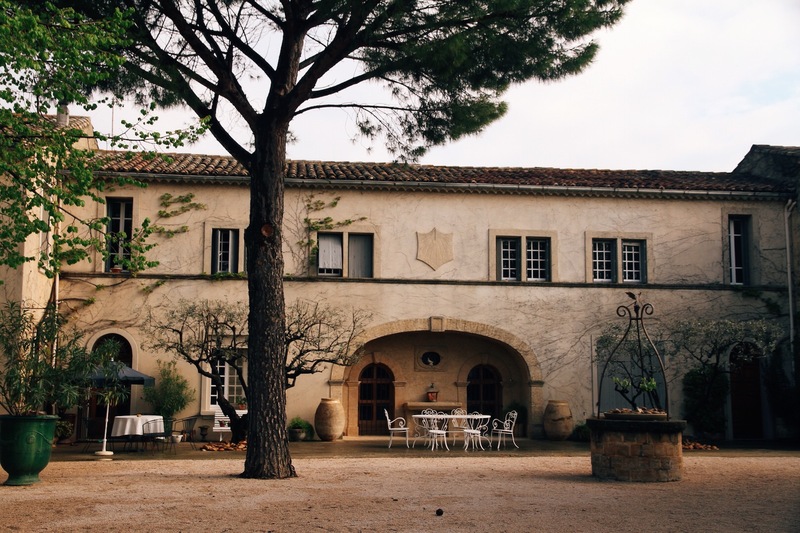 Sign-up to receive wine news from us and our affiliates. Glou Glou means drinkability. 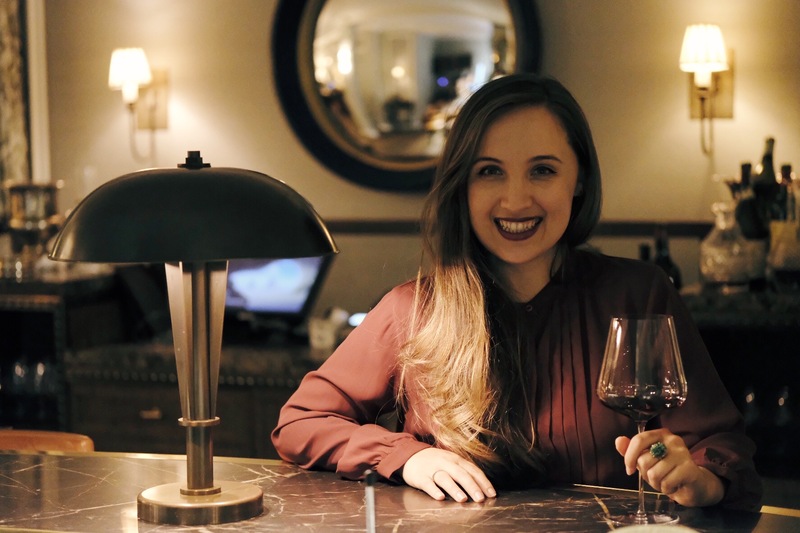 It’s wines that don’t pretend to be high seriousness, but nor are they lightweight or dismissable. 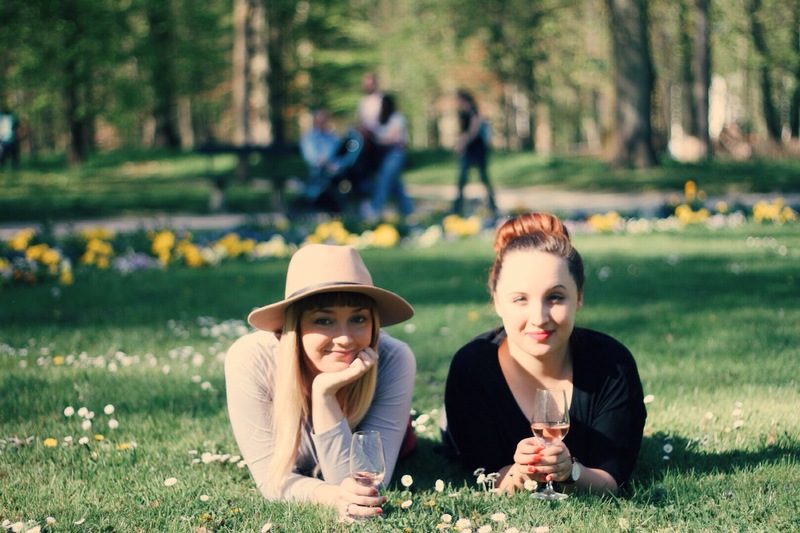 Much like us - two women working in the wine industry, with a shared background in wine business and media. We like to say gloo-gloo, not dissimilar from glug glug, which is that sound wine makes when you splash it down. Our goal? 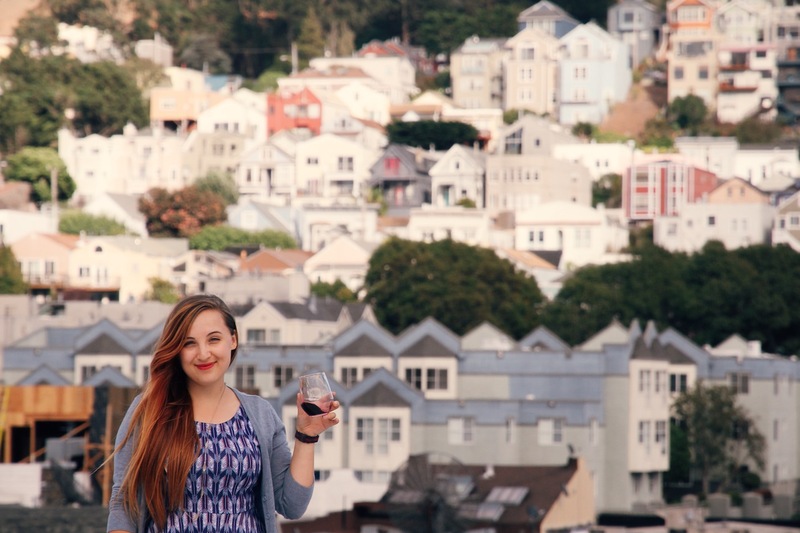 To talk wine - for real human beings. 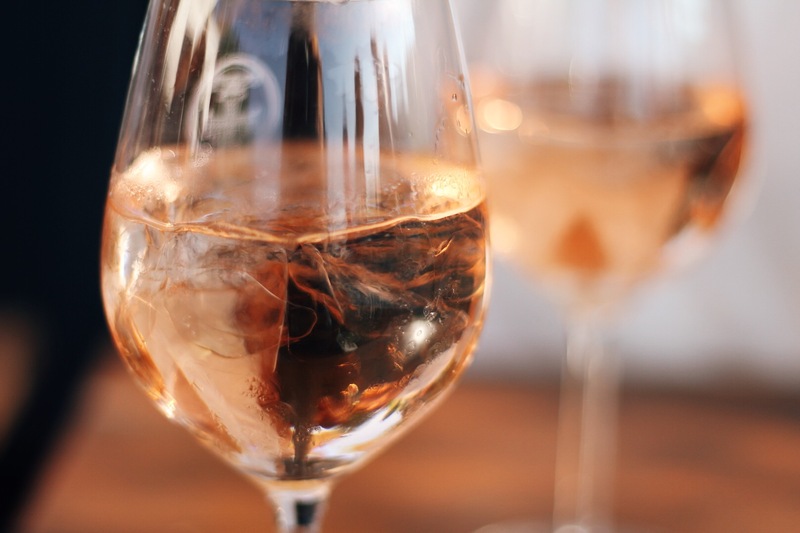 Ice in your wine – faux pas or fab?